Education Secretary Betsy DeVos restored federal recognition of the Accrediting Council for Independent Colleges and Schools (ACICS) in late November, but the for-profit accreditor and the colleges it oversees still have a tough road ahead. DeVos's Education Department has focused on rolling back Obama-era regulations of the for-profit sector, but a new Democratic majority in the House of Representatives could stymie those efforts. Several presumptive committee leaders have voiced opposition to DeVos's agenda and said oversight of efforts to loosen regulations on for-profits will be a top priority. As of July, roughly 85 institutions remained with ACICS as they weren't able to find a new accreditor, according to the Center for American Progress (CAP). While some appear healthy, at least one for-profit operator has already announced its closure since ACICS regained recognition. Many others have been facing problems endemic to a sector now experiencing reputational as well as financial hurdles, including sharp drops in enrollment, campus closures and claims of consumer fraud. The following institutions are among those that were still accredited by ACICS as of the Education Department’s announcement and are either adapting to survive in an ever-shifting higher education and political landscape or closing their doors permanently. 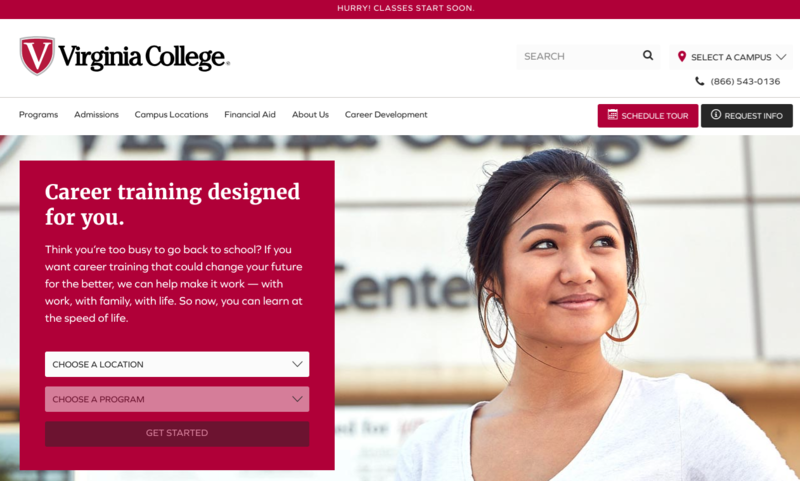 A screenshot of the ECA-owned Virginia College's website. 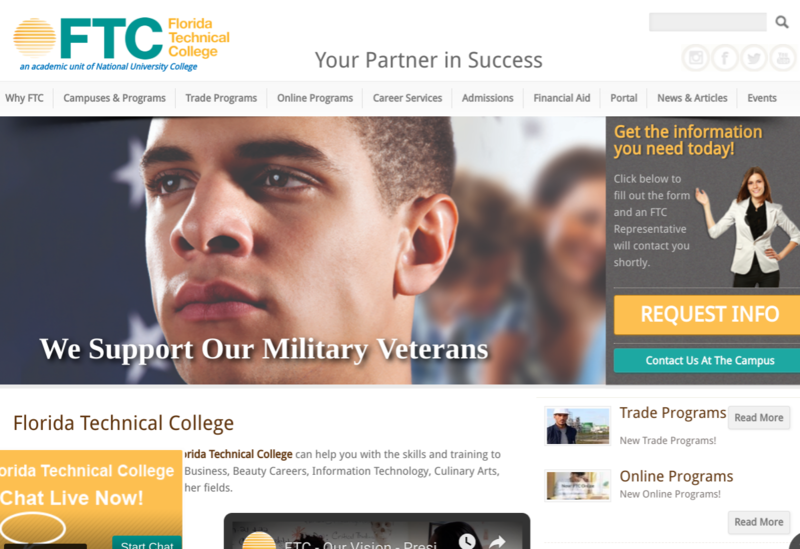 One of the largest for-profit operators, ECA, announced in early December that it was shutting down entirely after ACICS suspended accreditation for several of the campuses under the chain’s banner. ECA runs Virginia College, Brightwood College and the Golf Academy of America. Altogether, its students accounted for nearly half of enrollment at ACICS-accredited institutions, CAP noted in July. The New England College of Business, which is owned by ECA but not accredited by ACICS, will keep its doors open, according to a college official. In October, ECA had attempted to avoid bankruptcy by filing lawsuit in a federal district court against the Education Department and DeVos that has since been tossed out. The complaint requested the Ed Department to appoint a receiver to oversee its assets while it restructured and completed teach-outs at some of its campuses so it could retain access to federal student aid. According to the lawsuit, ECA had generally stopped making payments on its debts and faced evictions on some campuses due to a financial squeeze from declining enrollment. 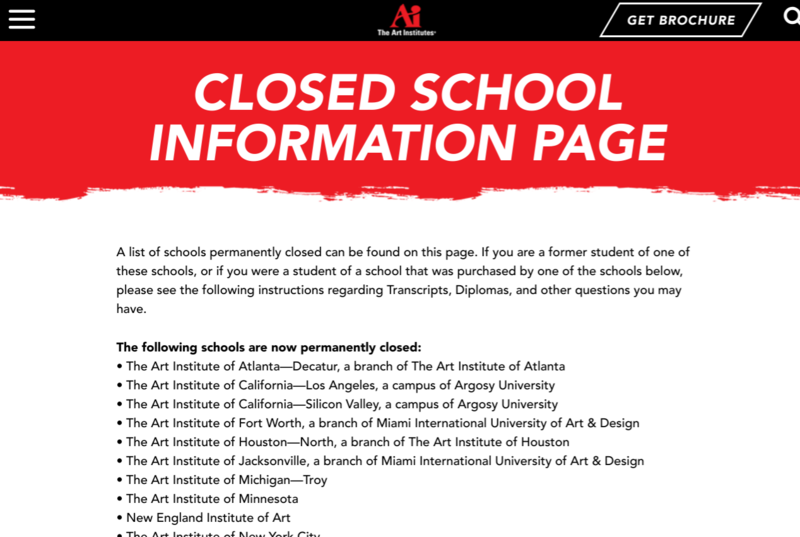 The abrupt closure sparked criticism. “Sudden closures are the worst moments for our sector,” wrote Steve Gunderson, president and CEO of Career Education Colleges and Universities, in an emailed statement to Education Dive. “They provide no time for students to transfer; and no time for staff to prepare. Thoughtful planning and communications can avoid such challenges." Before ECA’s closure announcement, both Virginia College and Brightwood had attempted to find new accreditors. The Accrediting Council for Continuing Education and Training denied Virginia College’s application because of its poor student outcomes and high faculty turnover, and the agency deferred a decision on Brightwood until this month. In January, the college reached an agreement with the Justice Department to settle a lawsuit for $600,000 that alleged college employees falsified student documents to get more federal financial aid, the Miami Herald reported. The U.S. Attorney's Office for the Southern District of Florida stated Cutler Bay, Florida, campus employees submitted documents that indicated 27 students had graduated from high school or had an equivalent program when they had not. 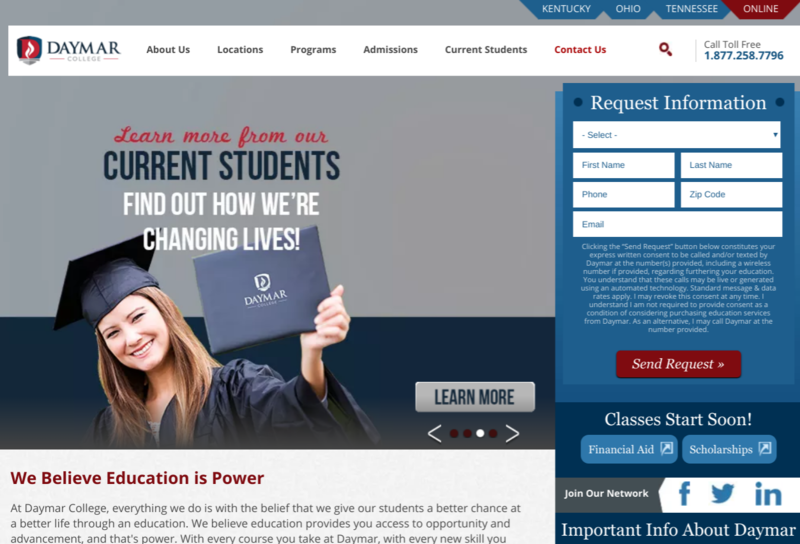 The college took a financial hit in recent years when it agreed in 2015 to pay $1.2 million in restitution to 3,500 former students and forgive $11 million in student debt in order to settle a consumer protection lawsuit, the Lexington Herald-Leader reported. The lawsuit, brought by the state attorney general, alleged the college misled its students about their ability to transfer credits to other colleges, hired unqualified faculty and staff, and accepted students who failed the Daymar's admissions test. The college had been seeking a new accreditor since the end of 2016, but stated in February in a letter to students that it would be forced to close if it didn't find one by mid-June. DeVos temporarily restored federal recognition of ACICS in April against the recommendations of her own staff ahead of that deadline. 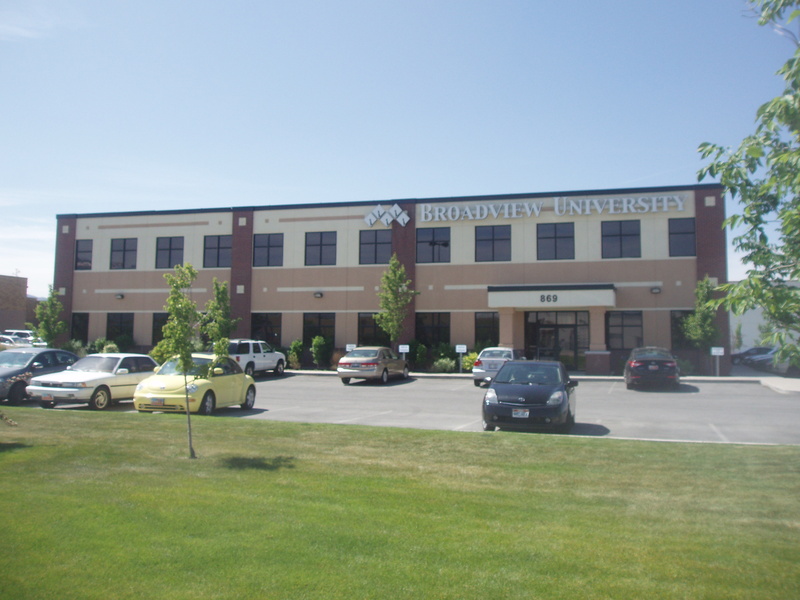 Broadview University's campus in Layton, Utah. Globe University looked like it would make a comeback last year after Broadview received permission from the Ed Department to reopen four of Globe's former campuses in Wisconsin. Broadview quickly reversed course, however, issuing an announcement that it would close three of the former Globe locations citing "the low unemployment rate and unique challenges in higher education," Inside Higher Ed reported. The remaining campus, in Madison, Wisconsin, is listed as closed by the Education Department.